Let’s “Red, White & Blue” it up! Decorate your bikes, cars, tractors, pets (must be on leashes), and whatever else you can think of, even yourself! Scout troops, kids groups, veteran neighbors, clubs and organizations are all invited! We will also enjoy a treat after the parade. 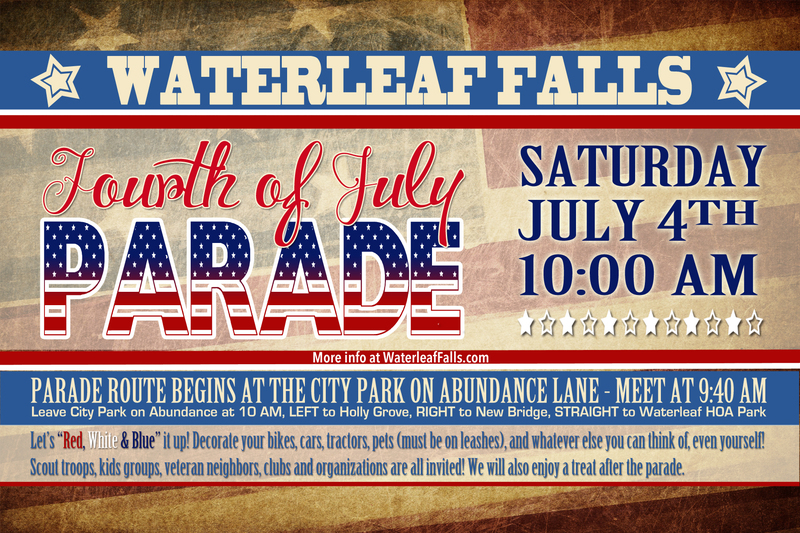 Anyone interested in walking in the parade should meet at the City Park on Abundance Lane(435 Abundance Ln Kyle, TX 78640). Spectators can line up along the streets on the East End of Abundance, Holly Grove, and New Bridge. The Parade will leave the City Park on Abundance at 10:00 am and proceed to the LEFT to Holly Grove, then RIGHT to New Bridge, and STRAIGHT to the Waterleaf Community HOA Park at the corner of New Bridge and Sheep Trail (330 Sheep Trail Kyle, TX 78640). Volunteers can contact waterleafneighborhoodwatch@gmail.com to get involved. 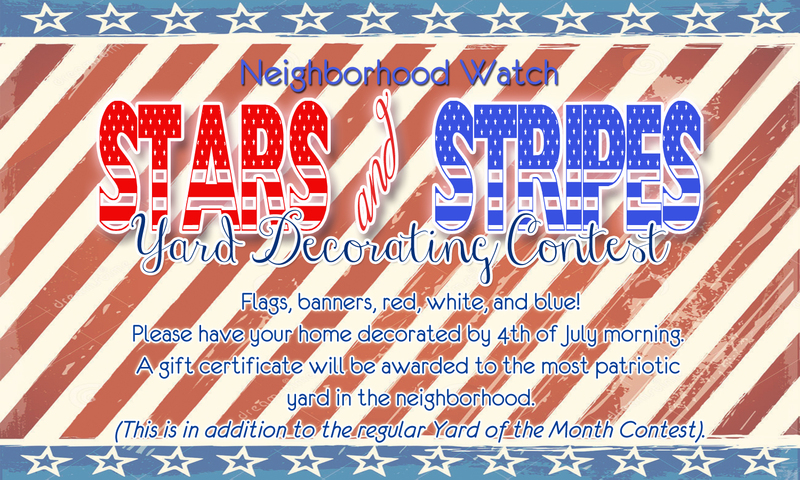 Don’t forget Neighborhood Watch is also sponsoring a “Fourth of July Yard Decorating Contest” (This is in addition to the regular Yard of the Month Contest). Make sure your home is decorated by the morning of July 4th to be entered. The winner will receive a gift card.